SMS Lifesciences India Limited is a manufacturing, buying, selling importing and exporting, acting as commission agents and dealing with of all types of Organic & Inorganic Chemicals, Pharmaceuticals, API and Intermediates. 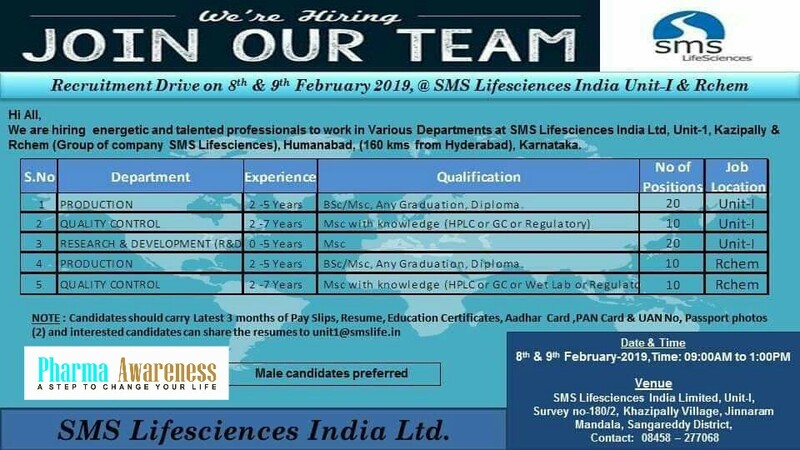 SMS Lifesciences Hyderabad Hiring For Production, QC and R&D. SMS Lifesciences has a strong R&D and manufacturing team. All manufacturing facilities are ISO:9001 certified and WHO-GMP compliant. SMS Lifesciences has developed fully equipped QC cells at all the manufacturing facilities manned by experienced & qualified staff. 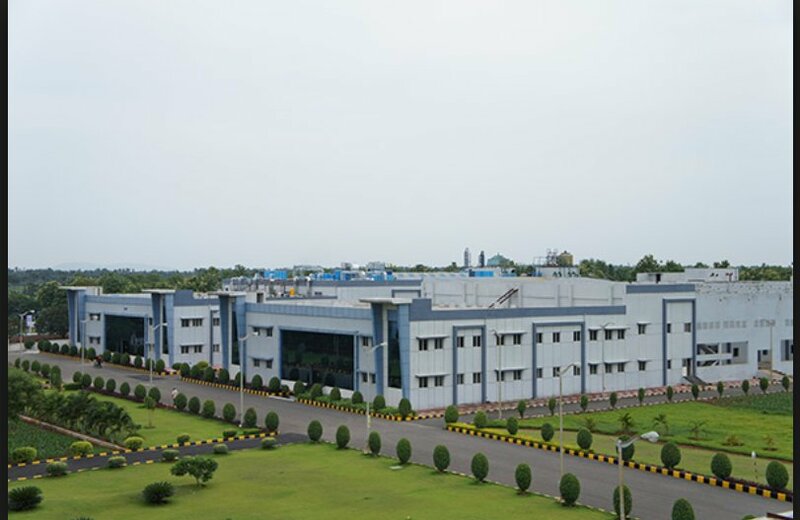 R&D facility is recognized by the Department of Scientific and Industrial Research (DSIR, Ministry of Science and Technology, Government of India). SMS Lifesciences is in the process of developing and implementing ISO 14001 systems at manufacturing facilities and expects to be certified soon. SMS Lifesciences has an extensive range of training & development programs for all career paths.